Guangsheng Pagoda is located 45 kilometres north of Linfen, it was built in Eastern Han dynasty (147. A.D.), and has a history of more than 1800 years. The pagoda consists of three parts: upper, lower and Water God Temples. Guangsheng Pagoda has many cultural relics and splendid ancient buildings. 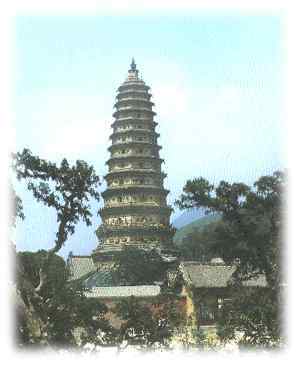 The well-preserved pagoda – Flying Rainbow Pagoda -- is the biggest in China. The only large-scale treasure frescoes of the traditional Chinese operas in the country are also found here.